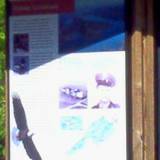 BALD EAGLE STATE PARK IS RICH IN PENNSYLVANIA HISTORY! 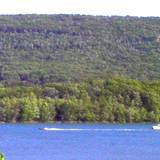 Camping in Pennsylvania can't get any better than the variety of camping and the scenic beauty of Bald Eagle State Park. From primitive to modern to cottages and yurts the choice is all yours while enjoying the Allegheny Plateau and beautiful valleys. The 1,730-acre reservoir named after, Foster Joseph Sayers, a WWII hero from the area, lost his life in France in 1944 and received the Congressional Medal of Honor. The Foster Joseph Sayers Reservoir extends 8-miles upstream and has 23 miles of shoreline. What is really unique about this beautiful lake is the unlimited horsepower motor permitted. Of course all motor boats and non-powered boats must display permits. 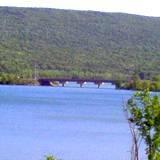 As you travel along the shoreline you'll enjoy such primitive views of the PA wildlife, scenic forest and unlimited places to pull into dock and explore. There's also a 1200-foot sand and turf beach area with a children's playground, snack bar, restrooms and changing area. Parking is close by and always free. You'll also find picnic tables scattered through this PA State Park and the beach area. I know you'll be impressed with how clean and compact the beach area is. The water is clean and always freshly fed from the Bald Eagle Creeks. There are 13 streams within Bald Eagle. Which means you can enjoy 47 miles of stocked and fishable popular creeks like, Penns Creek and Fishing Creek. There is a fish hatchery in Clinton County that stocks fish year round so you can enjoy fishing whenever you want. You'll also enjoy finding that Bald Eagle State Park's lake also attracts snapping turtles, osprey, great blue heron and of course bald eagle. Of course you'll always see an abundance of deer, porcupine, woodpeckers, cottontail rabbits and wild turkey. This Pennsylvania State Park is one of the most primative and unique state parks with lots of hiking trails and even road trails to explore. You can enjoy camping in Bald Eagle State Park from mid-April to mid-December. You should book your reservation a year in advance but you can always call 888-PA-Parks and see if there is a cancellation you can take advantage of. 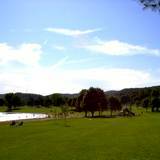 The modern camping area has 99 campsites equipped with fire ring and picnic table. You'll find clean and modern rest areas with hot showers, electric hookups, the park amphitheater, two volleyball courts, horseshoe pits and sanitary dumps. Have you ever thought about spending a week in a yurt? Hmmm, now what is a yurt? It's a round, Mongolian-style tent that sits on a wooden deck. They sleep 6 and have electric heat, a cooking stove, refrigerator, beds and table and chairs. Yurts are located in the center of the campgrounds and can be rented on a weekly basis. So you think you'd rather spend your vacation in the wild roughing it? No problem. Bald Eagle State Park has it all! The rustic area provides sites for tents and camping vehicles. You can pitch a tent 150 feet from the road and they are known as the walk-in-type campsites. You'll park your car off the road and walk to your campsite. The only thing that's provided is fresh clean drinking water and rustic restroom facilities with sink and running water. The valley, creek, mountain and state park are named for the American Indian chief Woapalanne that means bald eagle. In the mid-1700s, the Lenni Lenape chief briefly dwelled at Bald Eagle's Nest, near Milesburg. 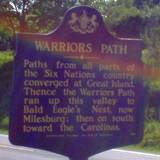 The village was along the Bald Eagle Creek Path, a portion of a warrior's path from New York to the Carolinas which now is State Route 150. As one of the few navigable tributaries of the West Branch Susquehanna River, Bald Eagle Creek became a branch of the Pennsylvania Canal in the mid-1800s. Flooding destroyed the short-lived canal system and newly developed railroads replaced the canal. These transportation systems and abundant local resources led to the building of the nearby Curtin Ironworks. Loggers cut trees from steep-sided Bald Eagle Mountain and colliers made charcoal from the wood to feed the hungry furnace. When the demand for wood products soared in the 1800s, once plentiful pine, chestnut, oak and hickory were cleared from the valley and plateaus and the forest was replaced with farmland. The forests of Bald Eagle Mountain have regenerated and the fertile valley continues to be cultivated. 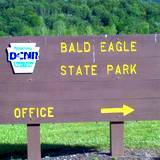 Bald Eagle State Park, Centre County, is along PA Route 150 between Milesburg and Lock Haven. From the west, take I-80 to Exit 158 and take PA Route 150 north for about 10 miles. From the east, take I-80 to Exit 178 and take U.S. Route 220 north, then take PA Route 150 south for about 13 miles.